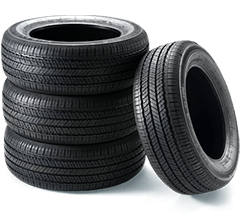 There are two broad categories of wheels that you can install on the vehicle; steel wheels and alloy wheels. 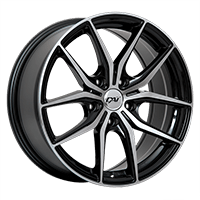 Alloy wheels have certain advantages compared to steel wheels, and are divided into two categories: the regular alloy wheels, and the replica wheels. In most cases, rims are primarily made of a mixture of materials at 94% aluminum, 4% silica, and 2% of other metals. They have the advantage of being lighter and stronger than steel wheels, having a more beautiful look and generally allowing better spacing to release the brakes (depending on the chosen wheel and brake systems). They also are much more durable in terms of the quality of finish. The replica wheels have the same characteristics, but they are not as universal. As their name suggests, they are generally used to replicate the original wheels. Replica wheels are very similar to the wheels of the car manufacturer and they generally fit on the car without any installation kit (nuts/bolts, without centering rings). These wheels follow the original specifications of the manufacturer, as the heart of the wheel is identical to the vehicle hub (see description of the wheel hubs). On our website, you will find replica wheels for your car in the DTD brands, RWC, Fast Replica, Replica and DAI.